New Caymen Ranch Townhome at Mill Ridge! January Special includes an appliance package along with special financing preferred lender! This special expires the last day of January, so don't delay! Everyone loves the front porch! Quiet country feel yet, only 3 minutes to Jordan Creek shopping, dining and entertainment area. 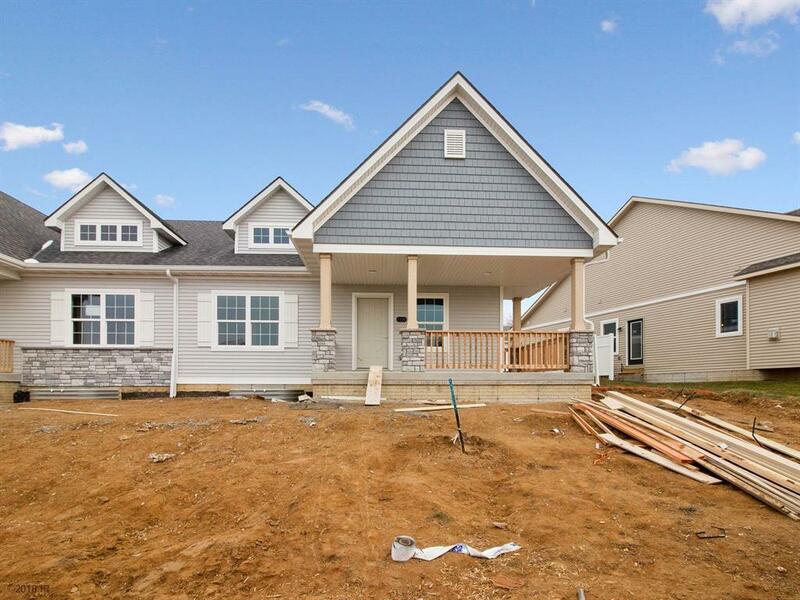 Open and spacious, master suite with full tile shower, comfort height double vanity, 9' ceilings and basement ready to finish. Enjoy a carefree lifestyle with lawn care, irrigation, snow removal, exterior insurance, swimming pool, clubhouse and Pick Ball court! Yes, we are pet friendly. Open House every Saturday and Sunday from 1:00 to 4:00. Can't find Mill Ridge? Take Mills Civic Pkwy to S 88th St. then South to Stagecoach Dr.